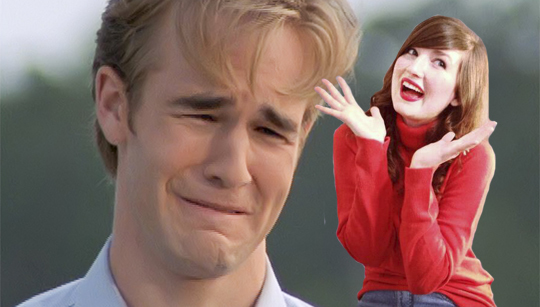 A couple of months ago I recorded a podcast with Elizabeth Sankey (of amazing pop duo Summer Camp fame) in which we watched the pilot episode of beloved 90s waterway-based drama serial Dawson’s Creek and talked somewhat haphazardly over the top of it. Back then I was something of a newcomer to The Creek, at least compared to Elizabeth, who had already been blogging about the series episode-by-episode over on Hello Giggles for many moons (some of her pieces had over 1000 likes — gosh). It didn’t really seem right to release it as a regular Ultra Culture Podcast, so instead I’ve elected to present the fruits of that balmy summer’s afternoon to you here, along with a Turkish-subtitled YouTube upload of the episode. If you want to sync the two up perfectly, cue up the video with the sound way down and hit play the moment I tell you to on the recording.